Colossus II Fourth Place Finisher Previously Shot in the Head Four Times? One eagle eyed F5 reader spotted something rather strange at the start of the Final Table of the Colossus II last week at the WSOP. Sorry, did I read that right? Richard Carr (we are pretty sure it is Carr as he is the only former college tennis player residing in Lake Mary who entered the event) was shot in the head 4 times? WTF?! It must be one hell of a typo, because it is now not appearing on Carr’s player profile and we can’t substantiate that claim on the world wide web. If anyone else can, let us know! Google is still picking it up from WSOP.com though. Carr ended up coming fourth in the Colossus II—the winner being Ben Keeline walked off with $1 million. 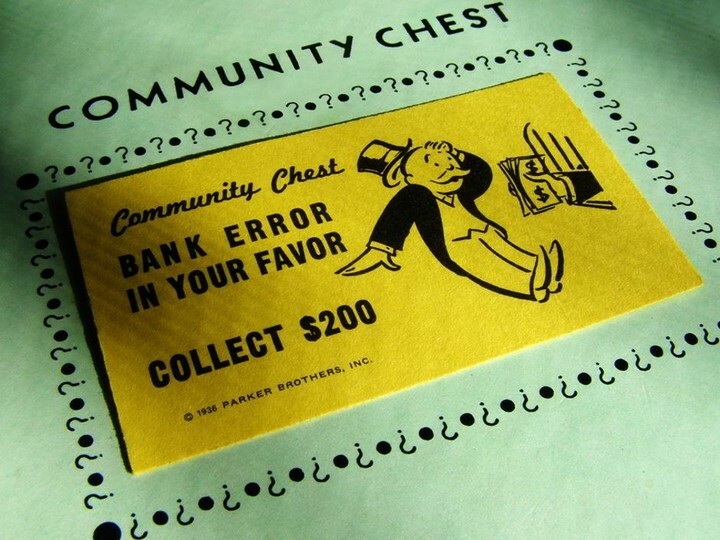 Turns out that winning hundreds of thousands of dollars on side bets whilst you are playing in the WSOP isn’t all its cracked up to be (although I am sure Jason Mercier would disagree). 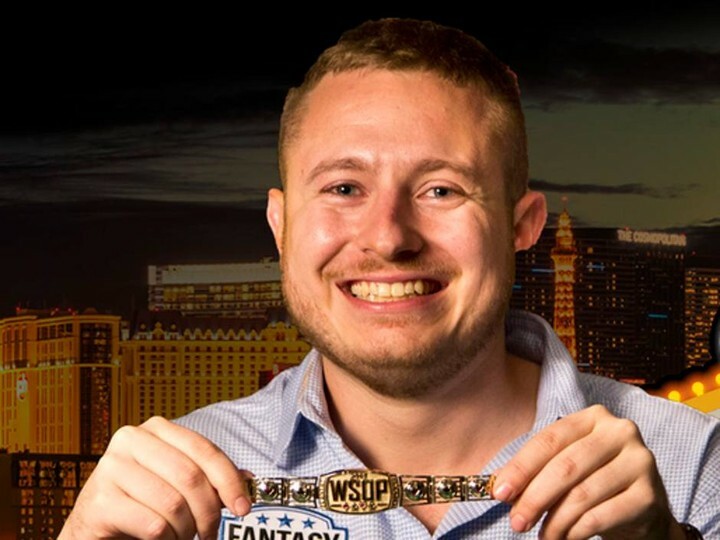 By the end of last summer Brian Hastings had won two WSOP gold bracelets and bagged around $874,000 in event winnings—but that doesn’t account for all the side action he was getting. This year his plan to focus hard on his game without any side bet distractions. PokerStars is backing the Poker Players Alliance (PPA) social media campaign to #Fight4Poker as the group doubles its efforts to raise awareness of the importance of legalizing online poker in the United States. The PPA has set up a webpage that gives really easy to follow tips to anyone who wants to help take action including easy to access links on writing or tweeting to state lawmakers. Poker pros such as Daniel Negreanu, Vanessa Selbst and Jason Somerville have also come out in support for the campaign. Investment Banker Scott Farnsworth who mistakenly entered Event #22: $1500 Limit Hold’em at the WSOP came runner up to Danny Le bagging $116,663 a the consolation prize. Not bad huh? It’s not the first time this has happened. Last year Christian Pham entered the 1,500 No-Limit 2-7 Draw Lowball event not even knowing what hands beat what and ended up winning the entire thing! You would think that an investment banker would be more astute to where he is putting his money—but then again we all know how the Lehman Brothers story ended. 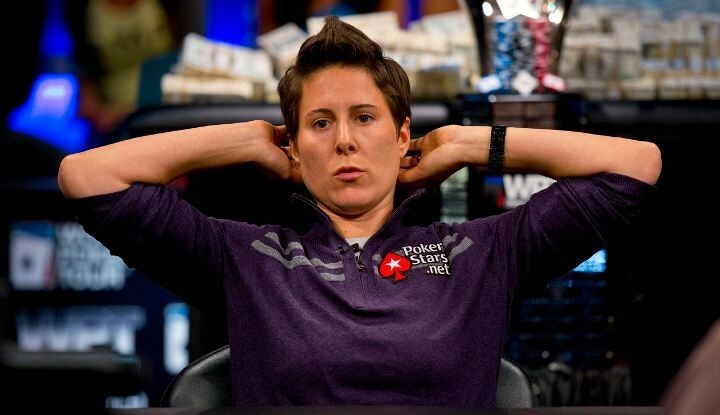 With Jason Mercier already having one gold bracelet in the bag from this years WSOP, and on track to take home a second as he heads into the final day of Event #20: $10,000 Seven Card Razz Championship as chip leader, things could get sticky for Vanessa Selbst. Selbst admitted yesterday that she made an extremely stupid drunken bet against Mercier winning three gold WSOP bracelets this year. It looks like she could be on the line for millions as she has confirmed she offered Mercier $100,000 to buy out of the bet, which he declined. In an attempt to hedge her bets, Selbst is now offering 25-1 odds that Mercier can win two more bracelets. Wow. If there was ever a lesson of why you shouldn’t get plastered and then make huge prop bets, it’s this! Watch how she talks about when she gave Dzmitry Urbanovich 200:1 odds on a $10,000 (that’s *$2 million folks!) that he wouldn’t win 3 bracelets at this year’s WSOP here, where incidentally she refers to herself as “rational” and “risk-adverse.” It starts at about the 18:00 mark. 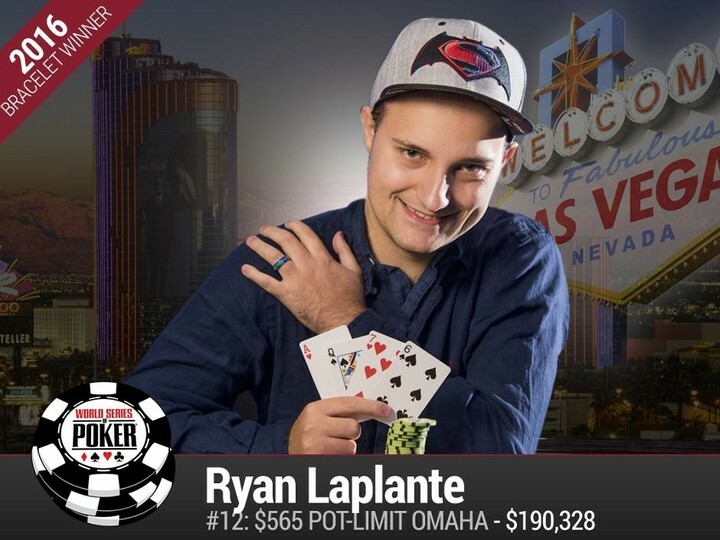 Following his win of the biggest live Pot-Limit Omaha tournament in history over the weekend at the WSOP, Ryan Laplante had not intended to make a speech as he collected his WSOP gold bracelet. However, due to the tragedy that occurred in the Florida LGBT nightclub Pulse, Laplante felt compelled to speak. CardPlayer caught the speech on tape. Listen to what he had to say below. But He Can’t Even Play In It! 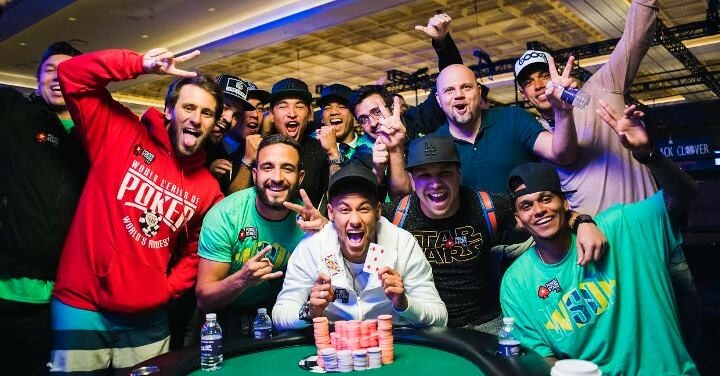 Popping into the Rio in Las Vegas last week, Team PokerStars SportsStar and football legend Neymar Jr was seen playing in a satellite tournament in the Amazon Room in a bid to win a seat to the WSOP Main Event. Which he did! Neymar Jr looked to be having a great time at the table with fellow Brazilian Felipe Ramos. Oddly, Neymar’s schedule doesn’t even allow him to play the Main Event. Neymar hit our screens last month in the viral video sensation promoting Knockout Poker for Pokerstars. 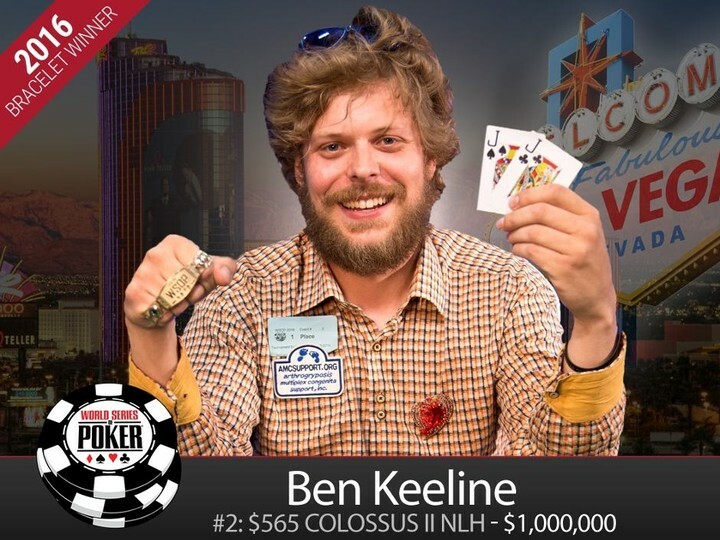 Ben Keeline won the life-changing sum of $1 million last week when he won the 2016 WSOP $565 Colossus II No-Limit Hold’em event but the humble winner decided to donate a portion of his winnings to a cause close to his heart. Donating $5000 after his win, Keeline’s moving words are about his nephew who suffers from Arthrogryposis Multiplex Congenita (AMC) a disease that effects 1 in 3000 children from birth. To learn more about AMC you can go here. Speaking about ex Full Tilt Poker exec, Chris “Jesus” Ferguson entering the $10,000 Seven-Card Stud Championship in this year’s World Series of Poker and at the time only commenting to press that he was just there to play poker, it is clear that Daniel Negreanu is pissed. 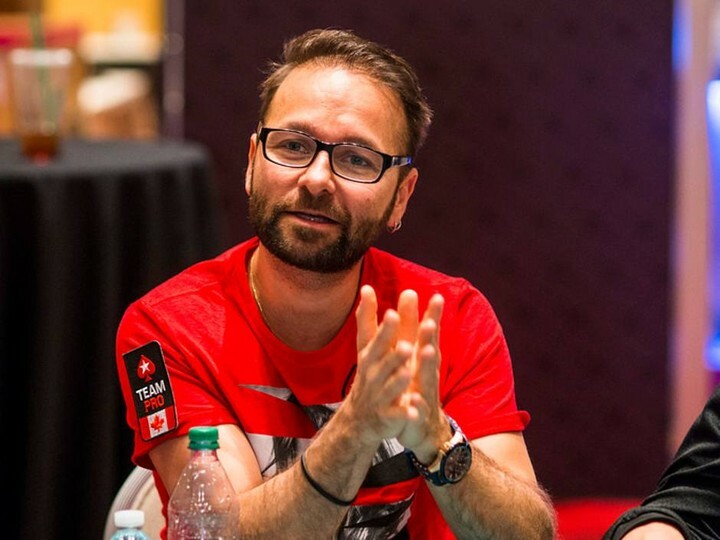 Not known to keep his opinions to himself, Negreanu spoke candidly to PokerListings about Ferguson’s appearance at the WSOP for the first time since Black Friday. “I would just assume that any human being with a shred of decency would own some of it and at least have some sort of apology,” Negreanu said. Negreanu had a lot more to say, check out the entire interview here . We are trying not to jinx it. 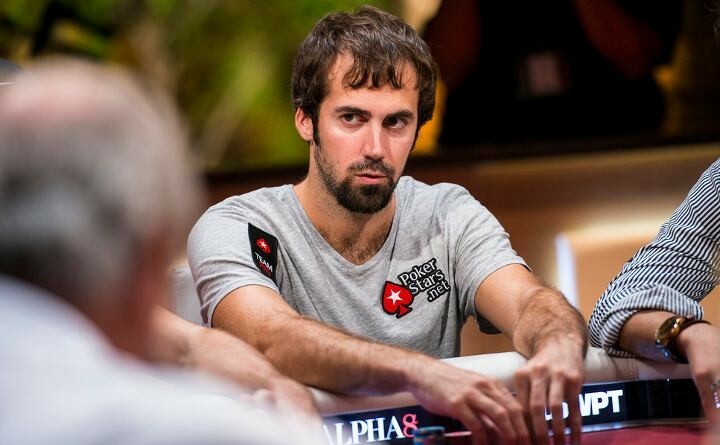 Jason Mercier heads into Day 3 of the World Series of Poker Event #16: $10,000 2-7 Draw Lowball Championship (No-Limit) firmly in the cheap lead and hoping to bag the fourth gold bracelet of his career. He is the only player in the running that has a seven-figure chip count. The pressure will be on Mercier today as he tries to take down the title especially as he is running bracelet side bets . Guessing from the lady positioned next to Chris Sand in his winners photo at the WSOP, it certainly looks like they think it does. Cate Hall posted a picture on her Twitter account of the display of Chris Sand’s winner photo at the WSOP following his win at Event #1 $565 buy-in No-Limit Hold’em Casino Employees Championship. Well known as an advocate for equality for women both on and off the table, it wasn’t Sand’s photo that caused Hall to tweet. Can you guess what it was? A women in a low cut top was strategically placed next to the photo, because of course, the winners photo, can’t just feature the winner, can it? How will we understand the picture without a buxom lady to help us? We hope Boeree wins that bracelet. Watch this short video from the GPL as they ask LA Sunset Wild Card and all round superstar Aaron Paul(Breaking Bad anyone?) what he thought of playing in The Cube. Although he says that it is “was a bit nerve wracking”—he was staring down Paris Aviator Fabrice Soulier after all—it was a great experience due to the mix of the live audience and intense nature of the game.